"Aww, man! What did Dad do to my sock?" said my oldest son when he saw only one of his favorite orange socks sitting on the kitchen counter next to a pile of fabric scraps. 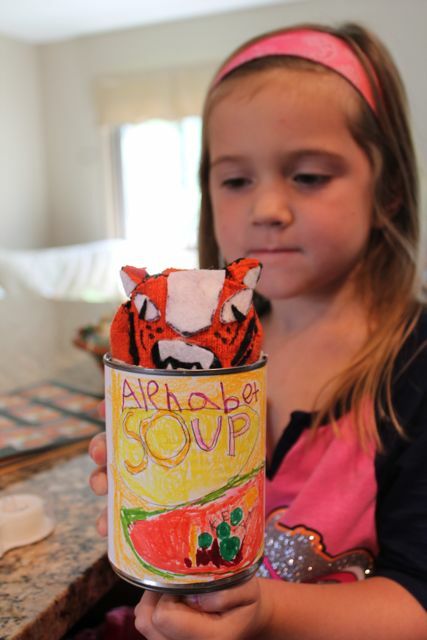 "We made a tiger puppet," his younger sister responded proudly. Then he said in a somewhat sad voice, "I loved that sock. The hole was in just the right spot on my foot. My toe didn't even poke through." I really thought it would be okay to use his sock. For the record, the hole was big. And...I did look for other orange fabric in the basement but couldn't find any. 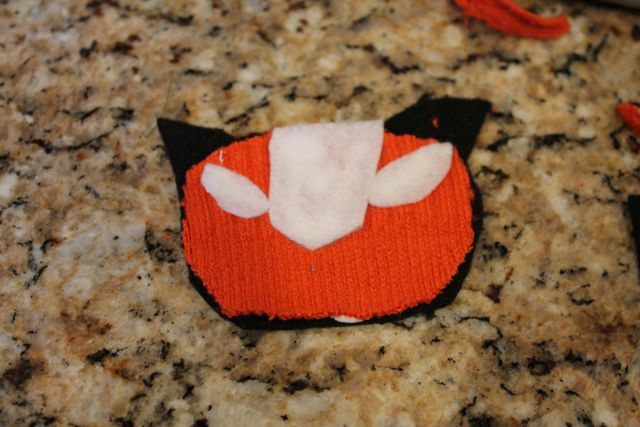 And...we didn't have any orange felt which would have allowed me to use a black sock and add orange stripes. 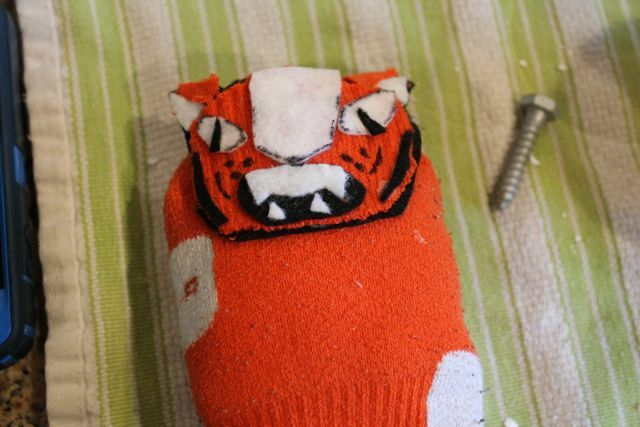 The orange sock with the hole in it was the only orange thing in the house that could be made into a tiger puppet. 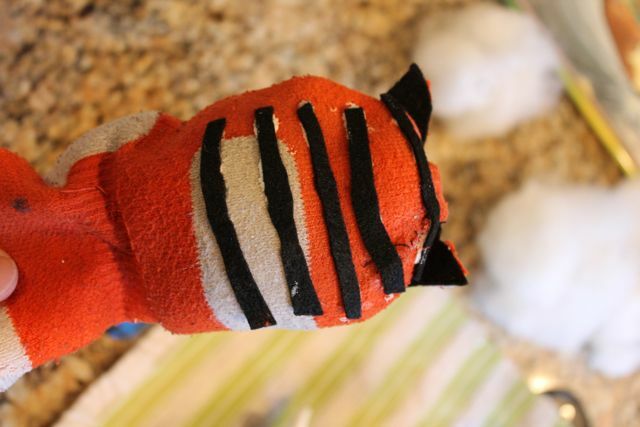 And...I just needed a tiger puppet to celebrate Jeffrey Ebbeler's birthday with my youngest daughter. 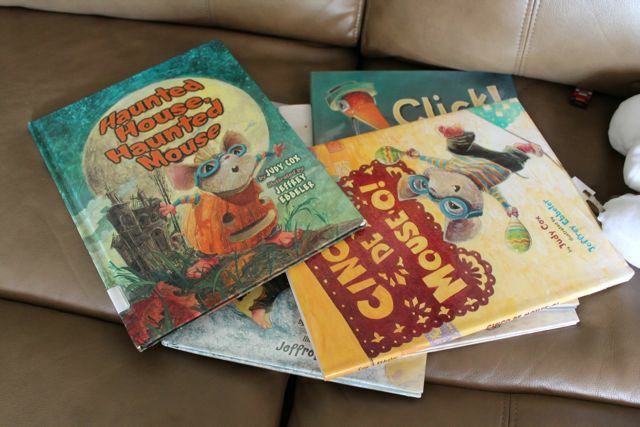 Jeffrey Ebbeler is the illustrator of over 50 books including Arlo Rolled written by Susan Pearson, Haunted House, Haunted Mouse by Judy Cox, and The Twelve Days of Christmas in Ohio written by Carole Gerber. He grew up making and drawing comics while surrounded by his artistic family. His mother was a sculptor and was Jeffrey's middle school art teacher. 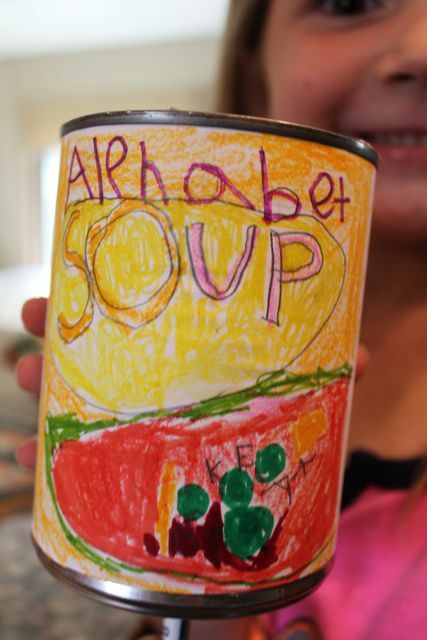 When Jeffrey was in the 6th grade she gave the assignment to write and illustrate a story to share with a kindergarten class. 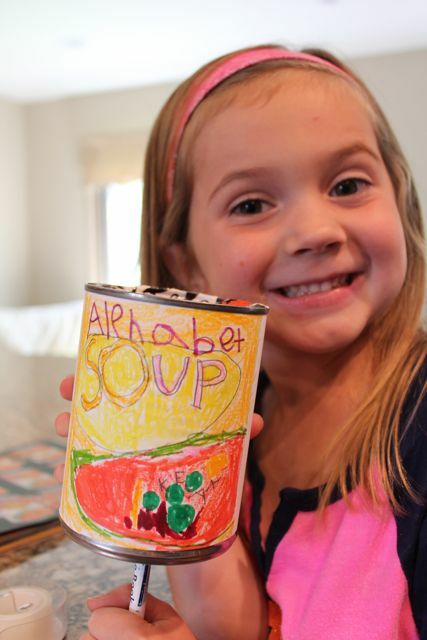 Jeffrey said, "Making books is all I've wanted to do since." (Jeffrey Ebbeler's website). At the Mazza Museum Summer Conference 2017, Jeffrey credited his brother with "paving the way for him." 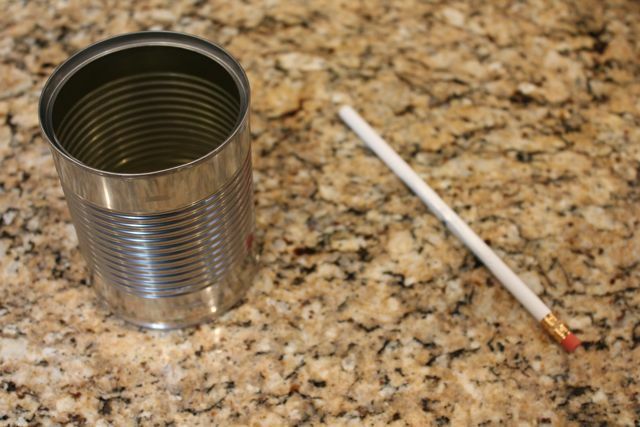 Jeffrey admitted that he always wanted to be like his older brother. He admired his artistic ability and followed in his footsteps to Art Academy of Cincinnati. (Kathy Temean). In college, Jeffrey initially studied fine art but got hooked on illustration in his junior year. He fell in love with picture book illustration and started collecting books by William Joyce and Lane Smith. He approached editors and publishers in New York with his first attempts at picture book illustration but was rejected. While in college and after graduation Jeffrey developed his artistic talent through a variety of experiences including drawing caricatures at Kings Island, painting murals, working for a marionette company making puppets and more. Then, he got a job as the assistant art director for Publications International, Ltd. in Chicago, a publisher who at the time specialized in mass-market books featuring licensed characters. During his six years with PIL, Jeffrey worked his way to become the head art director, gained valuable experience drawing thumbnails sketches to send to illustrators so they could draw the final art, and published one of his own illustrations in a 400 page book of fairy tales. 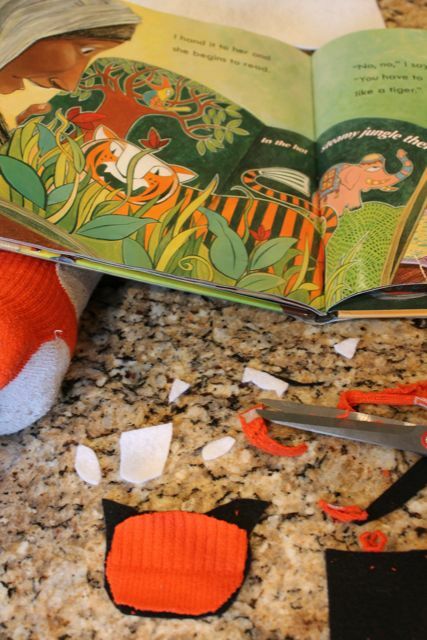 But, Jeffrey wanted to make his own books. Jeffrey struggled getting ideas for stories so he asked a writer friend to help him. Together they put together a dummy book to send to publishers and it was once again rejected. 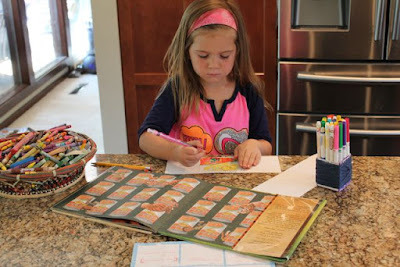 However, one publisher liked Jeffrey's artwork and he was offered his first picture book contract for Punxsutawney Phyllis written by Susan Leonard Hill. 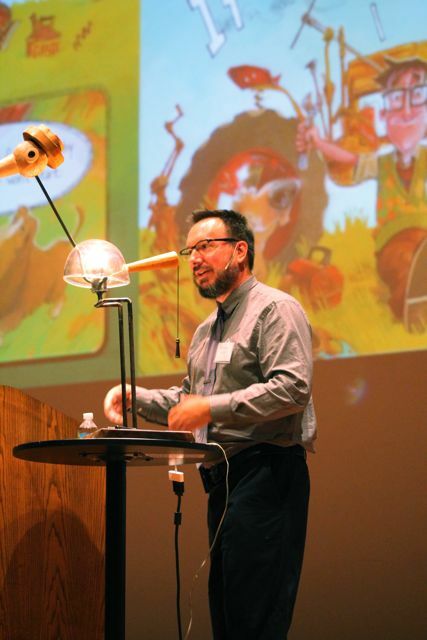 For ten years Jeffrey would illustrate books for a variety of authors. 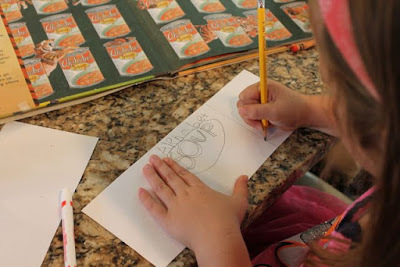 Then, in 2015 he published Click!, the first book he both wrote and illustrated. He credits his experience writing the comic strip Nestor's Dock (Ask Magazine) for giving him "traction as a writer." Jeffrey still illustrates for variety of authors. His next book is Melvin the Mouth written by Katherine Blanc (available in 1 week, September 19, 2017!!!) He continues to write his own stories, too. George the Hero Hound will be available March 2018! The book that inspired our family reading experience was Tiger in My Soup written by Kashmira Sheth. The story is about a boy who just wants his older sister to read his favorite book to him, but she isn't too happy about watching him for the day. 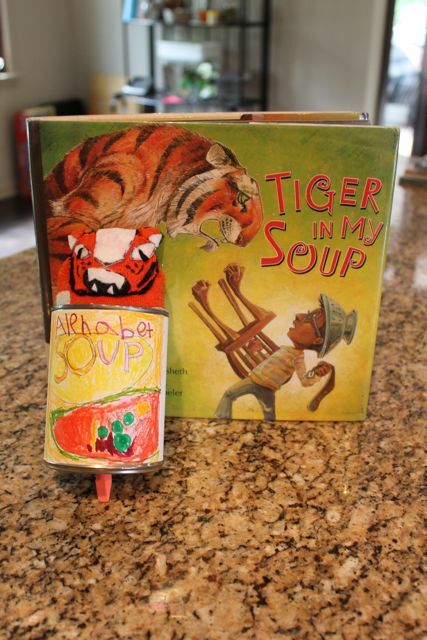 The boy reads his book about a tiger to himself. It is definitely not as much fun as having his sister read it to him. He tries to get her attention by asking her to fix him lunch and that is when things get crazy. Real crazy. A tiger crawls out of his soup. It gets his sister's attention alright. But, will she read finally read him his favorite book and if she does will she use her best tiger roar? 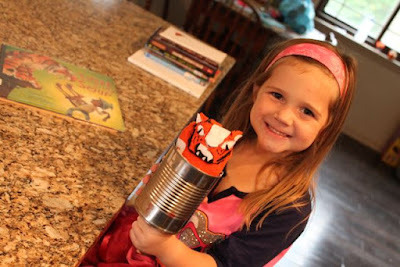 My youngest daughter was at morning kindergarten and I had the idea to make a tiger puppet using a soup can, a pencil, and a few other things. 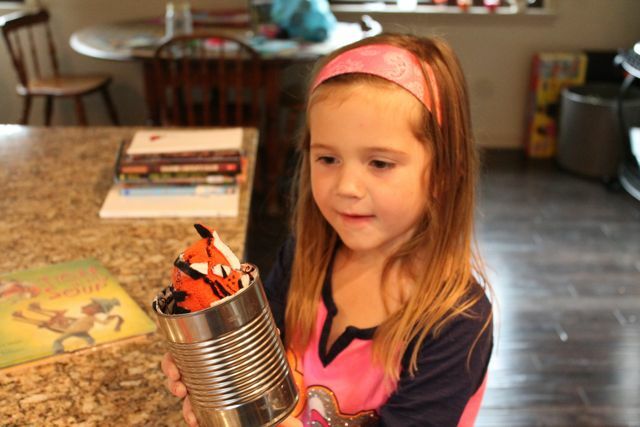 My goal was to have the puppet finished by the time she came home for lunch. 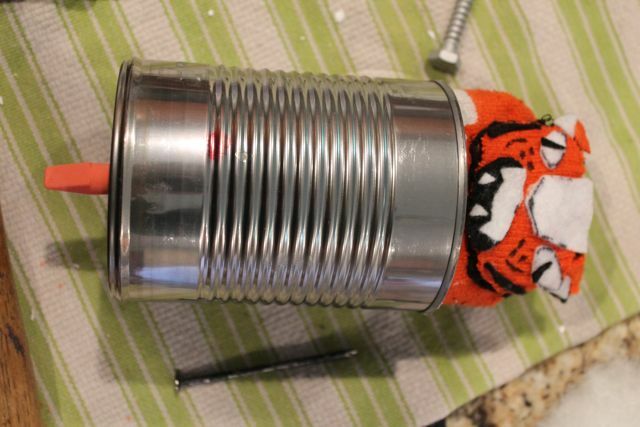 I taped the sharp edge of the can to make sure no one was injured using this puppet. 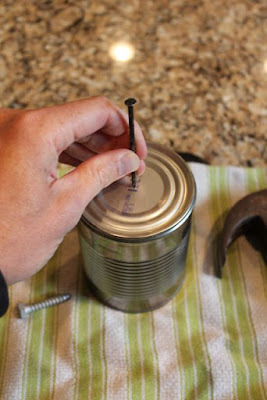 I popped a hole in the bottom of the can using a hammer and a nail. 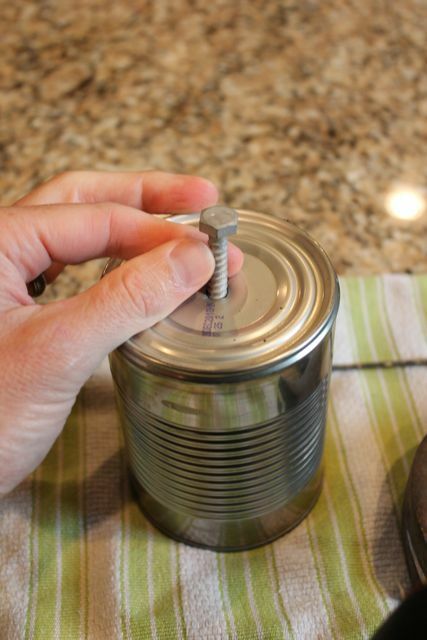 The hole wasn't big enough so I used a big screw. 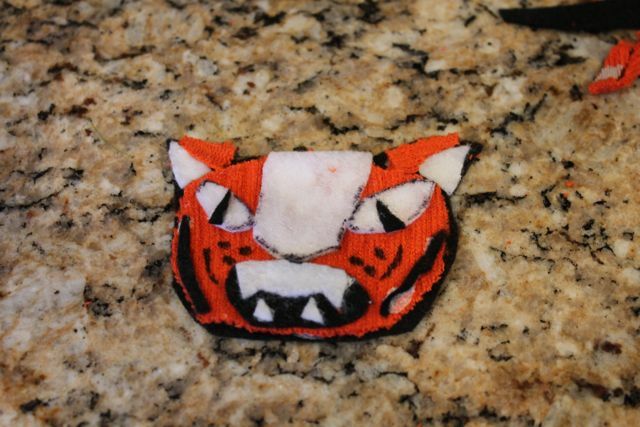 I wanted to make the tiger from the boy's favorite book. I used black and white felt...and my son's favorite orange sock. I stitched the hole closed. 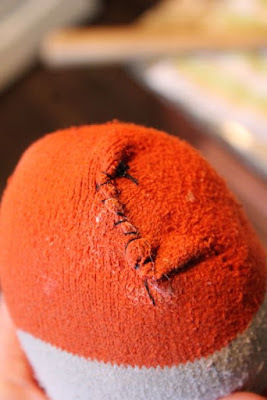 Later, my son admitted that the hole was pretty big and didn't care that I used his sock. I should buy him a new pair of orange socks anyway. 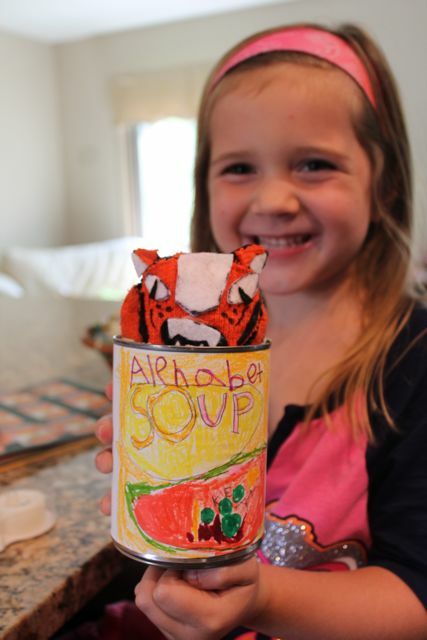 I wanted the tiger to be able to pop out of the soup can by pushing the pencil up. 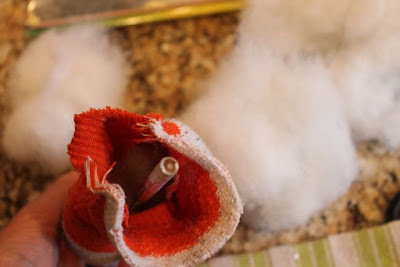 I needed more surface area than the end of a pencil to glue inside the sock. 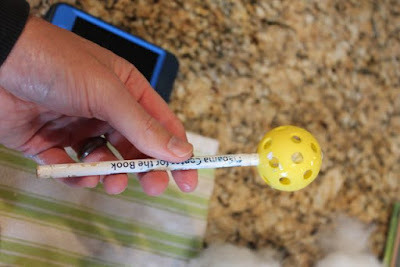 I found a plastic golf ball that was perfect! 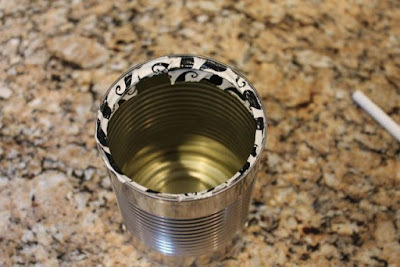 Lots of glue. 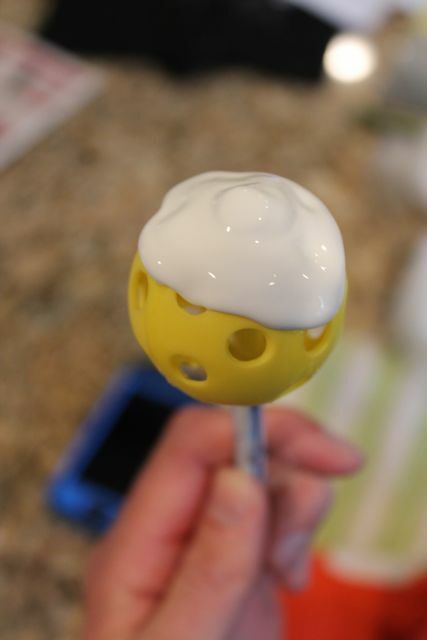 It sorta looked like a birthday cake pop! I placed the glued end into the sock and then pushed in some batting to make it full. 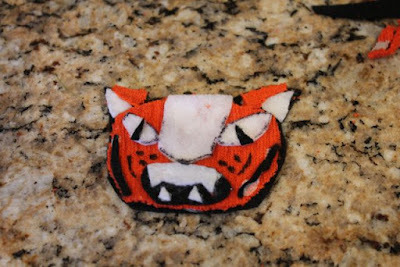 Then, I glued on the tiger face using tacky glue. I added some strips too. 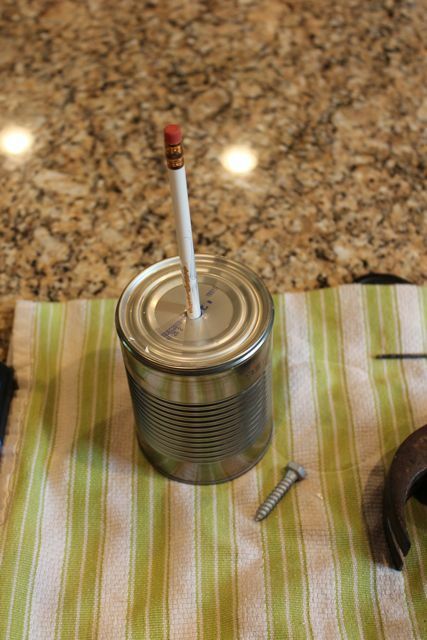 I pushed the pencil back through the hole and added an eraser to the end as a stopper. It dried until my daughter came home from school. She came in and said, "Are we having an author birthday celebration?" I handed her the puppet and said, "Yes!" She thought the puppet was really cool. So, we read the book right away! I asked her if she could make a label for the soup can and she agreed to help. She used Jeffrey Ebbeler's illustrations as inspiration. Of course, we had soup for lunch! Do you follow Happy Birthday Author on Pinterest? Please pin! What did we do after lunch? 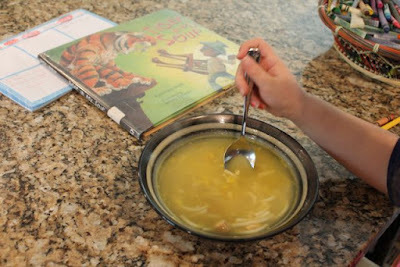 Oh, we read a pile of Jeffrey's other books! Jeffrey, it was so awesome to meet you at the Mazza Museum. Thank you so much for sharing your birthday with us. We hope you have a wonderful day and good luck with your upcoming books!